Are you looking for a unique way to honor someone or celebrate a significant event? Connecticut’s Beardsley Zoo invites you to support the only zoo in Connecticut by sponsoring a Commemorative Bench! Through this program the Zoo receives a bench for our visitors to enjoy and you receive a personalized message engraved on a beautiful, comfortable, sturdy 6-foot bench. The benches are made in the U.S. from maintenance-free recycled plastic milk jugs, and are guaranteed to last for years to come! Your message will be engraved on the top slats of the bench, which will hold 3 lines of text containing about 50 characters on each line. The benches will be displayed year-round throughout the Zoo’s beautiful grounds. Prime locations are available and can be matched to the donor’s specifications (with the Zoo having final decision on location). Your bench will provide the perfect spot to relax during a Zoo visit. Proceeds from the sale of these benches benefit the botanical renovations here at Connecticut’s Beardsley Zoo. 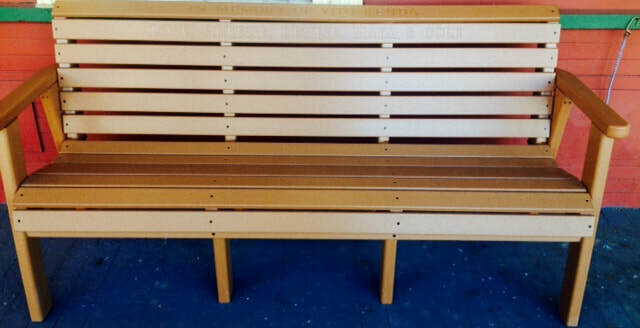 These benches are available for a donation of $2,500 (or $2,200 for CZS members) and are tax-deductible to the fullest extent of the law. Benches take approximately 10-12 weeks to be delivered and installed. For more information, please e-mail abolanos@beardsleyzoo.org or call (203) 394-6574.